Krisztina de Châtel - "Lara and Friends"
Houdini's first use in a live dance performance unveils in Euorpe in September 99. Running on an Intergraph with Wildcat graphics donated by Intergraph, Houdini receives dancer tracking information via MIDI from specialized tracking hardware. The dancers control the movement of objects and textures. Houdini's CHOPs control all the 3D objects, movement, camera and scene switching. Lara and Friends by Dance Company Krisztina de Châtel, consists of two choreographies: a new choreography and a reprise of Lara. The worldpremière of Lara and Friends is 9 September during the Berner Tanztage in Switzerland. With the successful choreography Lara Krisztina de Châtel laid the basis for a sequel. In Lara the dancers were manipulated by a whizzkid, in the new choreography the dancers themselves determine the progress of the performance. 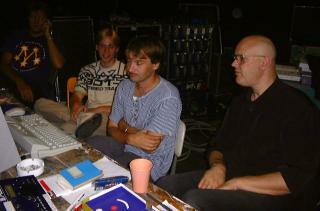 Together with Raymond le Gué, one of the initiators of virtual television in the Netherlands, the dance company made his own virtual environment. On a big screen this world will be projected. 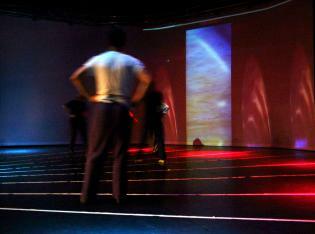 With their movements the dancers steer the elements from this virtual world. Lara Croft is the main character of the computer game Tomb Raider. For Krisztina de Châtel she is the inspiration for her choreography Lara. In Tomb Raider Lara is as a contemporary agent 007 involved in the most fascinating adventures. 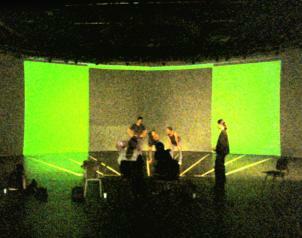 In De Châtel?s choreography the game is played live on stage and projected onto an omniversal screen. The dancers pick up the fight with Lara Croft, whose virtual world is manipulated live by a whizzkid. And like Lara in Tomb Raider is dependent on the player of the game, the dancers are in this choreography depending on the whizzkid. 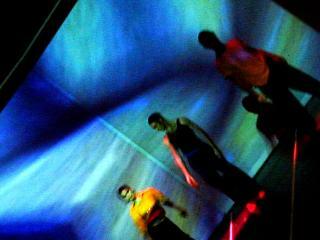 Through the use of live cameras an exciting interaction between dancers, whizzkid and the computer world with its characters is achieved. 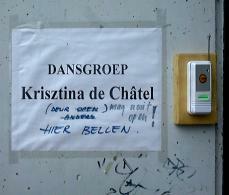 Dance Company Krisztina de Châtel -To have a dance company that bears your name is an honour reserved for choreo-graph-ers with their own exclusive style. Krisztina de Châtel is such a choreographer. In 1963 she leaves Budapest to study with Kurt Jooss at the Folkwang Hochschule in Essen. She started her dance career in the sixties and drew attention as a choreographer in the late seventies. Since then she has been regarded as a prominent modern choreographer. 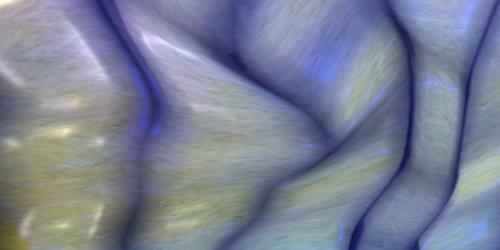 She distinguishes herself with a unique oeuvre of a consistent, high quality. Under her leadership, the company has developed into a modern dance company with an exquisite dancers' tableau. Her oeuvre comprises more than twenty five choreographies. 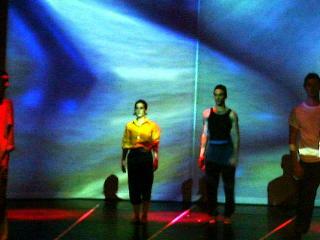 Most are full-length productions bringing together dance, music and art in a striking way. While De Châtel?s point of departure is and remains minimal dance, her productions can differ greatly in character. Her work can be very sober and compelling, but it can also be dramatic. Her oeuvre actually forms one grand statement about how this artist experiences life: her work reveals themes such as struggle, isolation, anger and sexual relations, even though the choreographer puts them into an abstract form. This form is always clear, controlled à la Mondriaan. This evokes friction with her Hungarian temperament, her expressionism, with which she tries to break through the strict form. That dualism makes her productions very formal, but they can also be dramatic. The performance is always in balance, somewhere on this scale of extremes. In 1987 De Châtel was given two important choreography prizes. Her work is performed in small auditoria and on large stages, depending on the type of production. She has devised works for Het Muziektheater Amsterdam, guest programming, for the Holland Festival and for Springdance in Utrecht. The national significance of the Dance Company Krisztina de Châtel is revealed in the long-term grant she receives from the Ministry of Culture. There is increasing interest in the company abroad. It has already toured in Europe, Canada, the United States, Latin America and Asia. Voltage Control I (1977), Voltage Control II (1978), Lines (1979), Variaties op een thema (1979), Afwijkend (1979), Light (1980), Forgó (1982), Wiederkehr (1983), per aspera (1983), Thron (1984), Solo's (1985), Föld (1985), Trio (1985), Typhoon (1986), Staunch (1987), Change (1988), Vortex (1988), Dualis (1989), Imperium (1990), Sequence (1991), Weep, Cry and Tangle (1992), Paletta (1992), Concave (1993), Facetten (1994), Muralis (1994), Stalen Neuzen - film (1995), Solo IV (1995), Vanitas (1996), Solo V (1997), Vide (1997), Ló (1997), Sacra (1998), Blindside Block - film (1998), Cyclo (1998), Lara (1998), Solo VI (1999), Epoxy (1999).